Our company traces its roots back to the early 1930s when Galle resident A.R.M. Thasim founded a Rubber and Coconut Oil mill in Galle, naming it after his elder brother as "A.R. Abdul Hameed & Brothers." Thasim was a well-known social worker and philanthropist who received recognition for his services to the people of Galle by her Majesty the Queen of England with an Honorary Order of the British Empire (O.B.E). He went on to become the longest serving Mayor of Galle. Under Thasim's leadership, A.R. 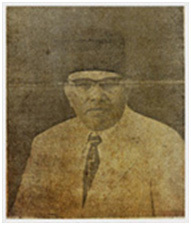 Abdul Hameed & Brothers grew to become the largest Rubber and Coconut Oil mill in Sri Lanka and it became more commonly known as ‘Nugaduwa Mills.’ The company owned several Rubber and Coconut estates and manufactured everything from Confectionary and Textiles to Plastics and Printing machinery. At the height of its success, A.R. Abdul Hameed & Brothers set up purchasing and sales outlets all over the country as well as overseas in Karachi, Pakistan and began Exporting Coconut Oil to Europe. 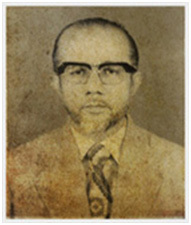 Following Thasim's death in 1963, his children took over Nugaduwa Mills while his nephews independently managed each sales and purchasing outlet around the country. However, the mill struggled at the hands of Thasim’s children and was eventually shut down. His nephews were equally unsuccessful at managing the sales and purchasing outlets and one by one each location shut down with the exception of one small but thriving outlet located at Grandpass Road in Colombo and managed by Thasim’s youngest nephew; Mohamed Salie. Unhindered by the sensational failure of the entire organization, Mohamed rebranded his outlet at Grandpass as "Hameed Brothers (Colombo) Limited" and continued trading under its new identity by buying Commodities and Spices from local suppliers and selling them to Exporters. Mohamed eventually began exporting these Commodities himself. In 1975, Mohamed Salie's eldest son Tufail joined the business and under the guidance of his father, expanded Hameed Brothers into many other areas with renewed focus on the local market. He purchased a factory in Wattalawhich manufactured Dolomite tiles in 1983 which was eventually shut down and turned into a series of warehouses five years later. Tufail also purchased a Coconut Oil mill called Mabola Mills in 1985 which was subsequently converted into a Melamine Tableware factory in 1993 with Hameed Brothers entering the domestic consumer market by being the first manufacturer of Melamine tableware in Sri Lanka. In 1995, Hameed Brothers further expanded intothe Transportation and Haulage business and in 2008,it ventured into the Hospitality industry by opening one of the first Motels in Sri Lanka targeting the low-budget tourism market.